The Boston Marathon is the world&apos;s largest annual marathon. It is always held on Patriots&apos; Day, the third Monday of April. 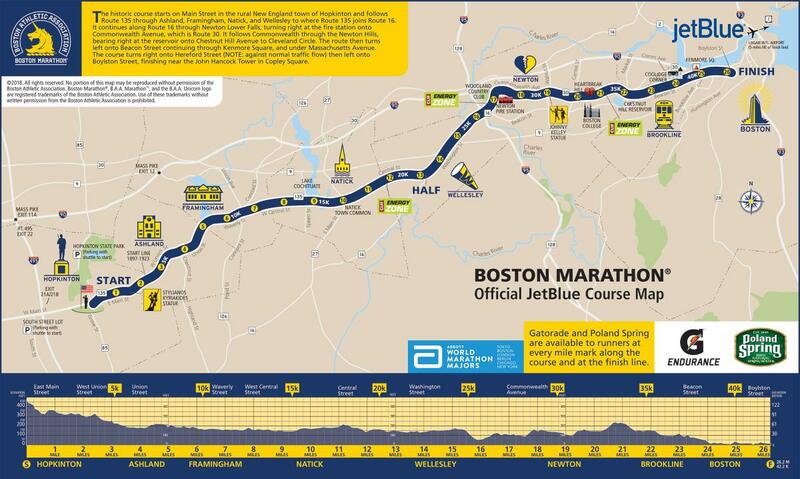 The Boston Marathon ranks as one of the world&apos;s best-known road racing events. It is one of six World Marathon Majors. The event attracts 500,000 spectators each year, making it New England&apos;s most widely viewed sporting event. Though starting with 18 participants in 1897, the event now attracts an average of about 20,000 registered participants each year, with 26,839 people entering in 2013.